The photo above shows the minimum amount of skin needed for a shoulder mount. MORE IS BETTER. 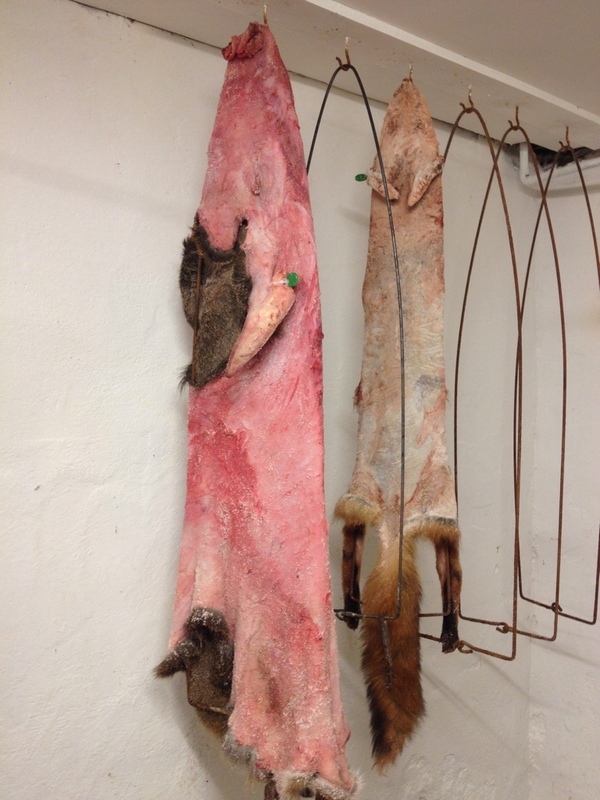 Bring the whole skin and allow your taxidermist to cut to length. Meaurements are taken first to be sure the right size manikin will be ordered. 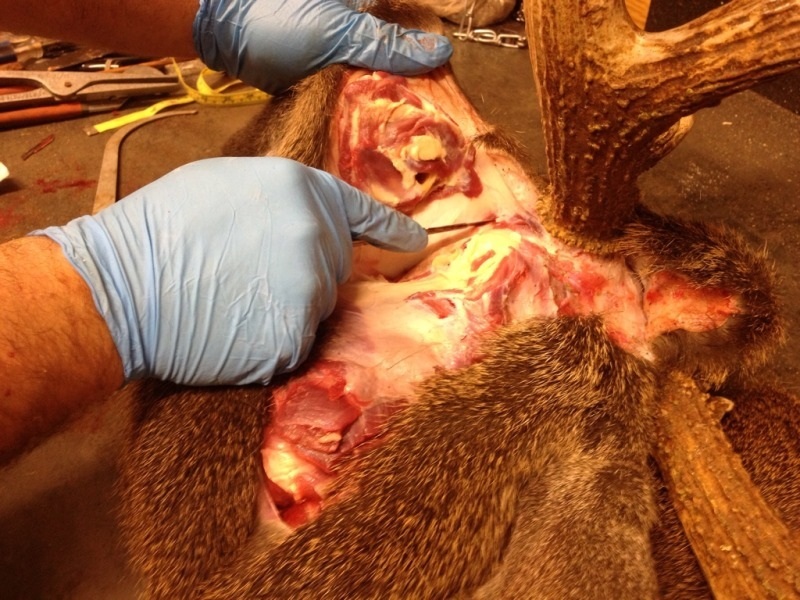 The first incision is from antler burr to antler burr. 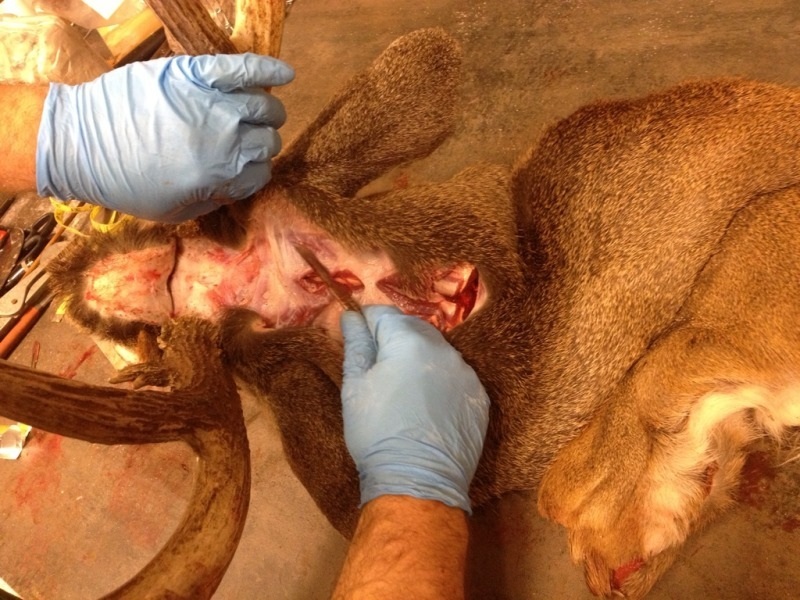 A "Y" insicion from antler to antler then down the back of the neck is made to remove the skin from around the antlers. 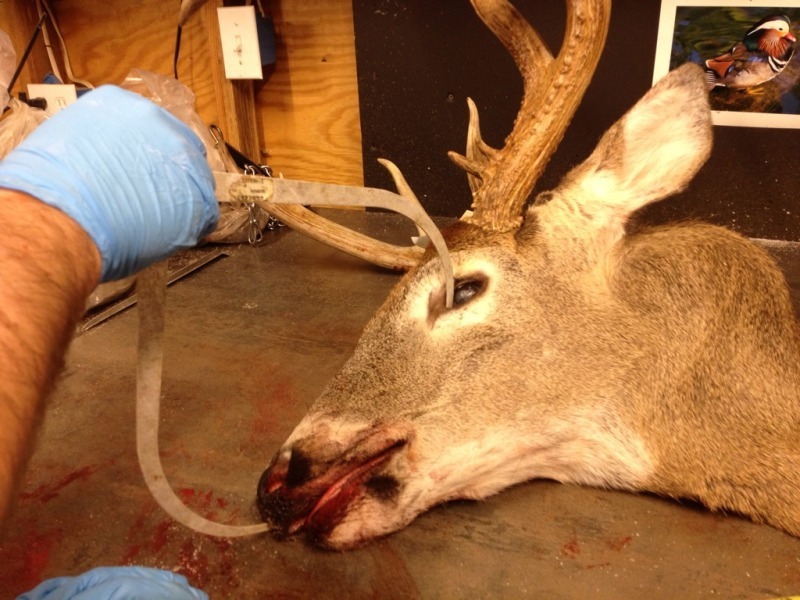 Shown here, the ear is being removed from the skull. 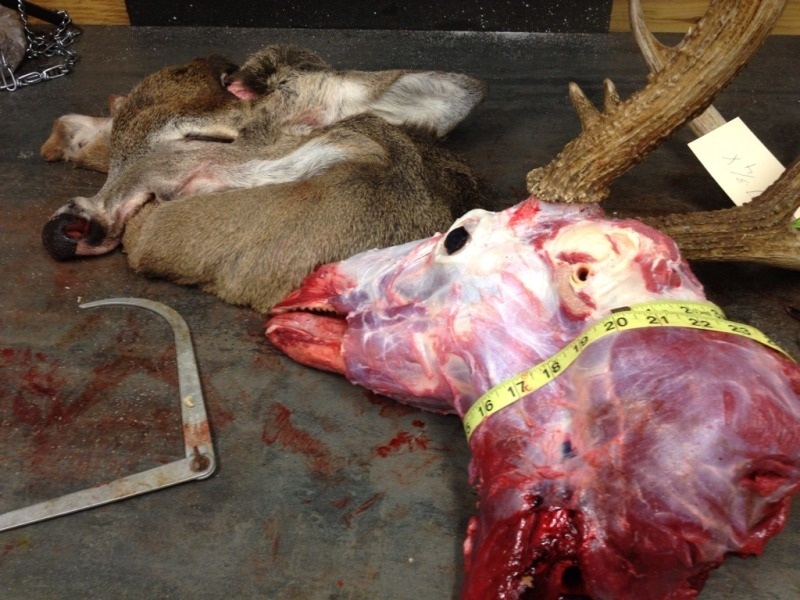 Once the skin is removed past the eyes and lips, the neck meat is measured. This is the measurement needed to ensure a proper sized manikin is ordered. There is no mistaking the size of the neck when you measure the actual meat the skin was removed from. 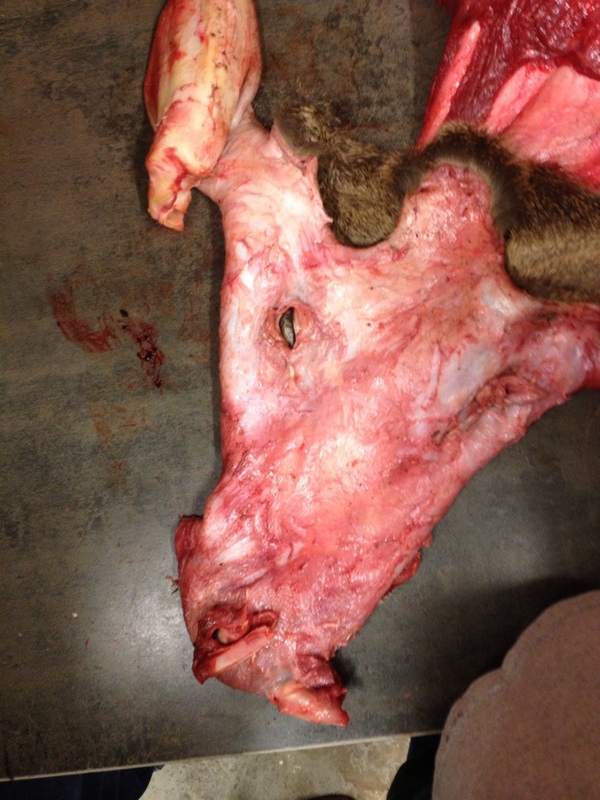 Here is the ears skinned inside out, the eyes and nostrils are also turned inside out. The face is fleshed as well in this photo. 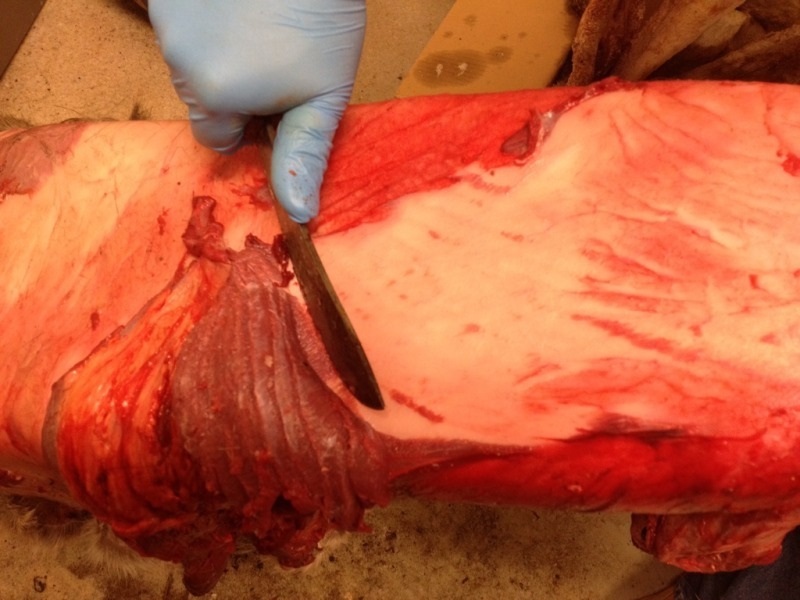 This is the fleshing process to remove all the fat and meat from the inside of the cape. The skull cap is then cut off and all the meat is removed. 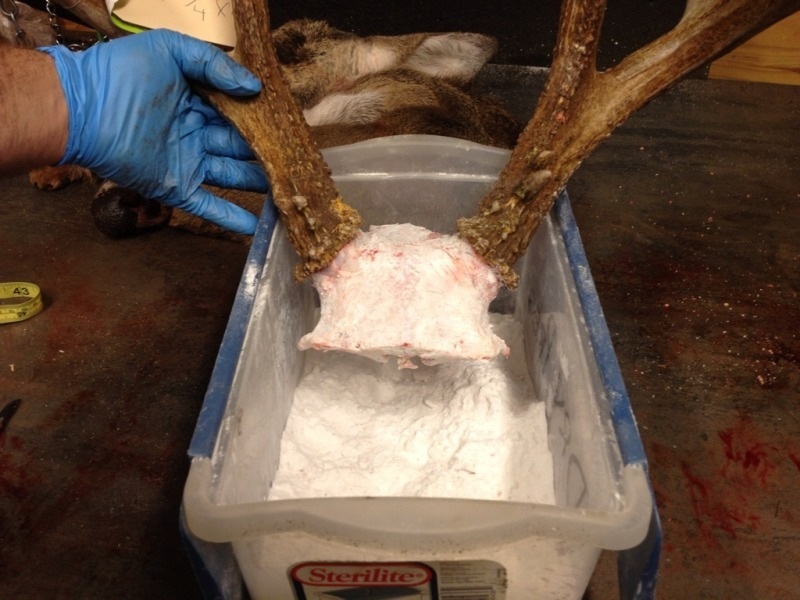 I then rub the skull cap with dry preservative and hang to dry. This will be cut smaller and cleaned better at a later time. 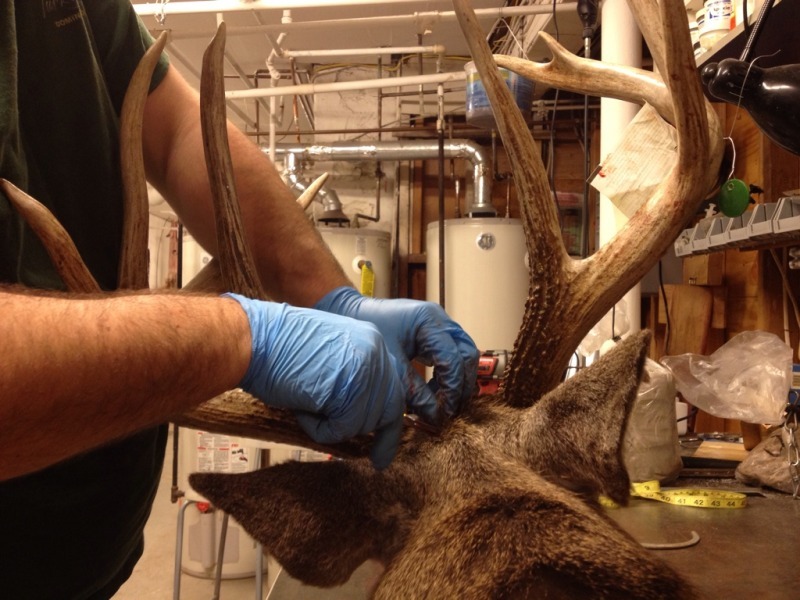 Finally, the ear cartilage is tagged with a number that corresponds with a number that was attached to the antlers. That ensures the proper set is reunited at the time it gets mounted. The skin is rubbed thouroughly with salt, then placed on a stretcher to dry. From here,after a few days, they will be folded, placed in a box, and shipped to the tannery.